TeamViewer is a leading Remote Access Software. Its feature set includes remote control, desktop sharing, online meetings and web conferencing, as well as file transfer between computers. Much like LogMeIn, TeamViewer provides connectivity services to both home and business users. For home users with multiple PCs it allows them to get remote access to their machines and files from anywhere that has an internet connection. For business users, it allows them to support their IT infrastructure, provide desktop support to their workforce, and give employees tools to collaborate from remote locations. Although TeamViewer is one of the big players in the remote access software market, it is far from the only solution. There are several free and cheap TeamViewer alternatives available for Windows, Mac, Linux, and Android, as well as browser-based options. We have tried to cover the best value alternatives in this article. In 2016 and 2017, TeamViewer suffered a number of hacks that exposed the personal details of a large number of its users. The company has faced a battle with its reputation since, however, it is still installed on over 1.5 billion machines around the world. The TeamViewer remote access software is easy-to-use and scalable, and allows you to connect to and monitor any device, anywhere in the world. From desktop-to-desktop, desktop-to-mobile, mobile-to-mobile, or to unattended devices like servers and IoT devices. It requires no pre-installed, IT-administered software to receive help, and supports Windows, Mac OS, Linux, Chrome OS, iOS, Android, Windows Phone, and BlackBerry. It also offers seamless Integration with most of the top IT-enablement platforms, alongside bank-level security and multi-user remote support sessions. Other key features include, audio and video calls, screenshare, session recording, unattended access, file sharing, and chat functions within a remote session. TeamViewer is free as long as it’s only for personal use. TeamViewer’s Remote Control for professional use costs $49 per month but is limited to 1 concurrent session. The corporate license starts at $199 per month for up to 3 concurrent sessions. Here are the ten best Teamviewer alternatives for 2019 which make possible to elect to your best remote desktop software. For the longest time, TeamViewer has been the king of remote access programs in the market. However, there have been some complaints about the past couple of months. At first, I only took them as rumors, but as time progressed, I kind of realized that it is more than just that. As a matter of fact, the software does have a number of issues that are plaguing some users. For starters, I have noticed some lag spikes and increased network usage for no reason. Some users have also raised privacy concerns regarding the software. 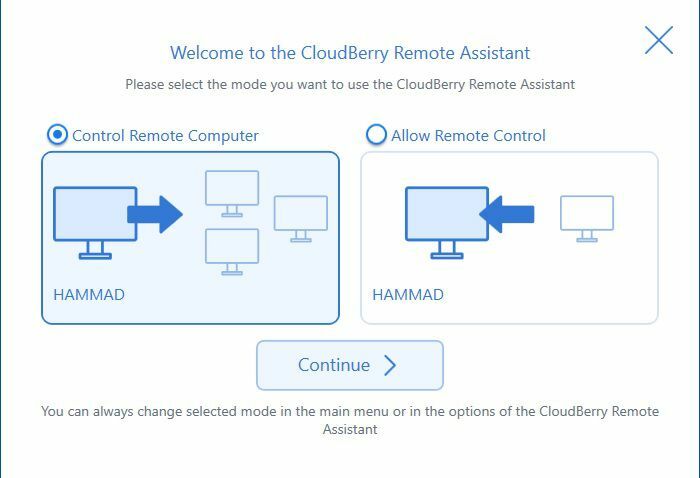 At this point, the best alternative to TeamViewer is CloudBerry Remote Assistant; thanks to their recent update that announced RSA algorithm based encrypted sessions. Addition to that, the normal connections are also secured by SSL encryption. Plus the software is light on resources as well, and you should not run into any issues. The good thing is that it takes the best bits of all the amazing remote access clients and combines them into one amazing package. There is no denying that CloudBerry is the next big thing in the remote access software and is going to be taking the competition by storm in the next coming months. Key Features: Text and voice chat, Easy to set up and use. SSL-encryption, Establishes connection in a matter of seconds. Works on almost all internet connections. Although TeamViewer is considered to be the top of the line remote desktop software by many, there are several alternatives available for people who do not want to use TeamViewer for one reason or another. A great example is SupRemo Remote Desktop Program; a relatively newer tool in the market that aims to get the job done without any issue. The one thing that I absolutely love about SupRemo is just how lightweight it is as compared to some of the competition in the market. It is simple to use, and extremely easy as well. Below are some of the features that you should look at. Allows multiple connections on the same computer. Does not require you to configure your firewall or router settings. Allows the user to drag and drop files with great ease. The aforementioned features are just some of the few that accompany SupRemo, other than that, it happens to be one of the most powerful remote desktop apps, and that is something that I already have mentioned. During my time with the software, I really did not face any issues that could break the overall user experience, so as far as any complaints are concerned, I really do not have any, and that is definitely a plus point for me. Pricing: Free trial is available and for paid options click here. Key Features: Available for Windows, iOS, and Android. Extremely simple and easy to use, lightweight on the resources, provide 256-bit AES encryption to ensure the securest possible connection, allow multiple connections on one computer with ease. If you’re looking for a business solution to perform and streamline desktop support or systems management tasks, one of the TeamViewer alternatives that you should definitely evaluate is Goverlan Reach. Goverlan Reach is designed to provide remote IT support even in an environment where there is a wide mix of PCs, Macs, servers, mobile devices, and operating systems. It also works well where employees are spread-out across offices or work remotely. Goverlan Reach is not only the most versatile solution we found, but it is also the best value for money. While many of it’s competitors have been heavily hiking their prices up over the past few years, Goverlan has kept its price increases modest and its pricing practices straightforward, and continues to focus on adding value through a rich feature set. It comes in three different editions Standard, Pro, and Enterprise. Price: Goverlan Reach starts at $29 per month per concurrent technician and includes unlimited endpoints as well as no cap on the number of sessions. There are no hidden fees. Windows Remote Desktop Connection is a built-in feature which can be used as TeamViewer alternatives. The setting can be obtained in the System settings of the computer. The PC’s router has to be routed to guide it. PC controller at one time isn’t something which this instrument is capable of. This application does not wish to install any extra software to get the job done and is terrific for users. Click here to read complete guide on how to use this feature. Pricing: It is Free for everyone. Key Features: Quick and complete access control on a distant PC, Easy to set up and already built into Microsoft Windows. Why do You need to opt to get Remote Desktop Connection? The tool is straightforward, easy-to-use which makes this tool an excellent fit for dabblers and novices. Windows Remote Desktop Connection is your option if you’re looking to some desktop client that is less bloated. This is a tool designed for systems based on systems on Windows. When the link is established another system can be completely worked on by you. The transfer is allowed in this tool which makes it a little tool that was free that was handy for getting your work done and establishing a connection. 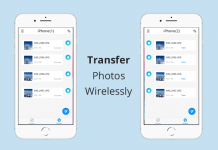 Key Features: Total remote accessibility of background, File transfers, etc. Why do you need to opt for UltraVNC? UltraVNC offers a solution to desktop software that is remote. Use this tool for instant file sharing or helping someone with their issues. JoinMe is a superior online gathering and conferencing tool that lets multiple people from multiple locations connect with one another at precisely the exact same time, which is supported by Windows and Mac OS X. Join.me offers unlimited sound, meaning that anybody can connect a call on any device, whether that’s net calling (VoIP) or telephone lines. Additionally, it provides one-click meeting scheduling, recording, and telephone numbers in 40 countries to facilitate conferencing. Pricing: Free for Basic VoIP, $15/mo for Pro plan and $19/mo for Enterprise programs with premium meetings and innovative management. Key Features: Apps for mobile devices, One-click meeting scheduling, Recording, presenter swap and allows up to 250 participants at a time. Why do you need to opt for Join.me? If you’re operating a business or even for individual purposes you want to collaborate remotely with individuals, JoinMe is an amazing remote management tool that you can use. A quick, easy and much better way to connect and socialize with individuals remotely is what Join.me is all about. Virtual Network Computing or the VNC technology is an open-source technology upon which this software is built. RealVNC offers both free as well as paid versions of the Remote Desktop Client. Although somewhat complex that Teamviewer in setting up, VNC delivers a secure, reliable and dependable connection. This utility can help you connect multiple PC’s behind an IP Address or connect to a computer. Price: Free for Personal use, paid for Private commercial and Enterprise use. Supported Platforms: Mac OS X, Linux, UNIX, Windows, Ubuntu, Raspberry Pi. Key Features: Cross-platform remote management, VNC authentication, Encryption, File Transfer, Chats, etc. Why do you need to opt for RealVNC? RealVNC provides the reliability and features like encryption, collaboration tools, and chat features to be certain that your connection works well for the individual on the end of it although a bit hard to configure the network started with your connection. Another alternative to Teamviewer in our list is Splashtop available for individuals and businesses and provides free. Splashtop isn’t hard to use when you get beyond the issues with installation. If you’re currently using it for private functions on up to 5 PCs, the application can be used by you for Free. Preparing the tool for your Windows or Mac and obtaining remotely over iOS or your own Android-based phone is exactly what Splashtop achieves enormously. There’s minimal latency on video and sound streaming, and making it simpler for you to enjoy your networking remotely. Price: It’s free for first 6 weeks, then $1.99/month (Personal use) and $60/year per person for businesses. Key Features: Stream audio and video, manage and move files, Free for personal use up to five computers. Why do you need to opt for Splashtop? Splashtop will make a desktop companion if you’re using the desktop solution for websites remotely and for small of functions. The experience offered by Splashtop in Remote accessing is amazing and its secured service, using a price makes it one of the best Teamviewer Alternatives. Ammyy Admin is free of charge, effortless and quick way to gain sharing and remote management option for companies and individuals. Unlike desktop applications that are heavy, the application comes in as an application under 1MB. In addition to remotely connecting to the system, you live chat and can perform actions. Secure connection supported by Windows and easy to handle software makes Ammyy Adminn among the remote desktop customers that are preferred. Price: Free for non-commercial applications; Paid options are also there for Starters, Premium and Corporate. For accurate pricing please check their website by clicking on the link given below. Key Features: effortless to set up, better system administrations, Remote office and presentations, Built-in text and voice chat, etc. Why do you need to go for AMMYY Adminn? AMMYY Adminn leaves behind a footprint in regards to software requirements. The application is very low and pretty nifty data intensive one that gets the remote desktop. Simple is among the reasons that many users opt for this tool. LogMeIn offers the best remote desktop solutions to companies and individuals. That does not prevent it from being listed among the alternatives to Teamviewer even though the free version of LogMeIn was stopped recently. With the main features of the printer, LogMeIn functions to Teamviewer as one of the premium options. Price: Variable paid options are available Individuals and smaller businesses. Why do you need to go for LogMeIn Pro? LogMeIn Pro offers a prospect for remote desktop accessing and it’s among the best of its type. LogMeIn offers features that are non-existent in many desktop applications of its type although priced less than the Teamviewer program. 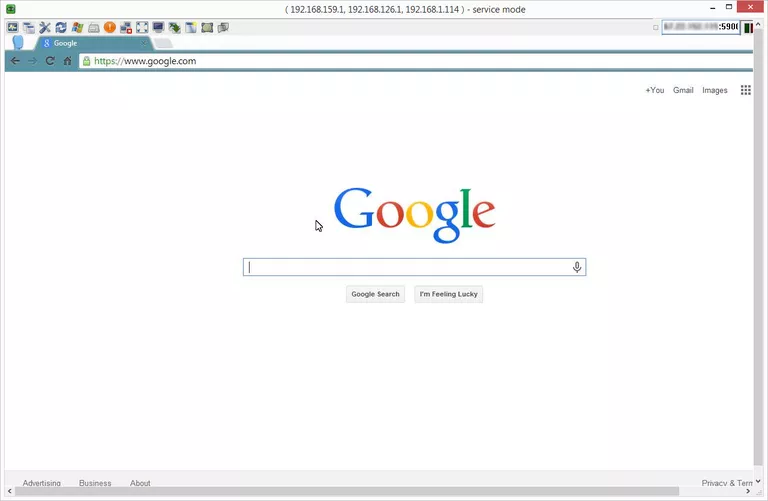 Chrome Remote Desktop tool is secured and is available as an extension for Google Chrome browser, accessible on any system. Setting up is easy and the costs nothing for getting your desktop, as well as providing an easy-to-use installation connected. Access its contents and any background directly from their browser. Why do You need to opt for Chrome Remote Desktop? This will get you if you’re searching for leaving your web browser without the need for a desktop option. Setting up is easy and the costs nothing for getting your desktop, as well as providing an easy-to-use installation linked. Mikogo is a premium tool for individuals and companies with commercial purposes though priced for business users. The application is browser-based and doesn’t require plugin or software installations. Mikogo supplies its applications as downloads for iOS, Mac OS X, Linux, Windows, and Android. 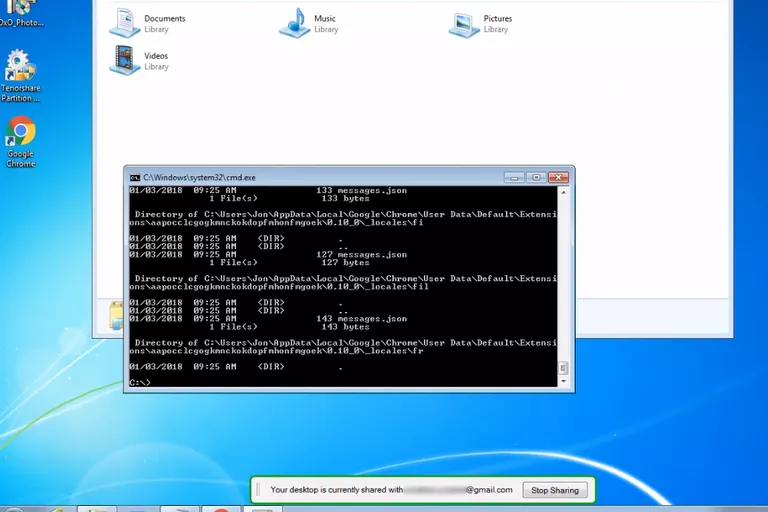 The program is cross-platform which enables a presenter to host the meeting and meeting attendees can join from tablets or smartphones, in addition to from a Windows, Mac, or Linux computer. The software interface is multilingual and may be changed between among 35 languages. Additionally, it has features swap presenter, like share documents, remotely control apps that are free a desktop, video conferencing, multi-user whiteboard, file transfer, chat and more. Tons of features are what Mikogo comes packaged along with. The tool is terrific for conferences/meetings, support, and remote desktop functions. Pricing: Variable paid options are available. Supported Platforms: Browser-based and also available for Mobile devices such as Android and iOS. 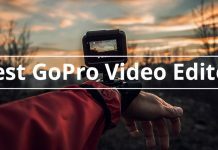 Why do you need to opt for Mikogo? This featured tool includes VoIP chat protocol in addition. Opening your browser up and getting started with it’s made easier without the need for installing a plugin or any program. The WebEx of Cisco is more than simply for conducting meetings. This tool lets you connect with people based on the desktop or mobile applications on systems. 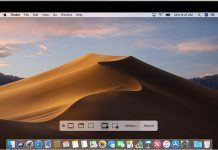 Supported by Windows, Mac OS X, Linux and Mobile Apps, the WebEx is an excellent match for your needs if you’re searching for a premium business solution or only for a desktop with an additional piece of interaction to it. Pricing: Free with limitations and paid versions are also available with premium features. Key Features: Recording meetings, Free mobile programs, Scheduling in Outlook, Video conferencing, Markup tools, Password protected messages, etc. Why should you go for WebEx? Cisco’s WebEx is an excellent fit for your requirements if you’re searching for a premium business solution or only for a desktop with an additional bit of interaction to it. Here we arrive at the end of the list of best Teamviewer alternatives available that are best. Perhaps you have missed some of your desktop tools that were remote? Feel free to talk about experiences and your ideas below. I personally used RealVNC, found it much better than Teamviewer. If some one is looking for less bloated solution then Windows RDP is best program to opt. Another great alternative in my opinion is RemoteToPC. Even though I was using TeamViewer in my early work stages, I figured that I need a better app and RemoteToPC offers everything. Good luck! Anyone recommending windows RDP outside of a VPN should not be listened to. You can also have a look at on premise R-HUB remote support servers. It provides a simple and easy to use interface. Thank you for the suggestion. We will look into it and include here if it offers the best features. Remote Utilites is just simple and great. I very love use LiteManager software for free remote desktop and control computers anywhere.